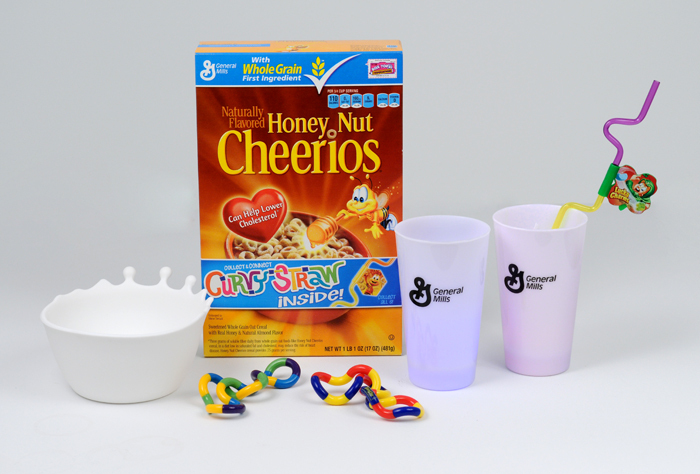 STAY AT HOME MOM: MyBlogSpark Giveaway - Big G Curvy Straws! Whether you use one or connect them all, the fun with Big G Curvy Straws doesn’t have to stop when you reach the end of the bowl. Simply grab another serving of ice cold milk, and slurp away! Need more cereal to go with your milk? You can visit this link to download a printable coupon for $1.25 off of the purchase of (2) boxes of participating Big G cereal today! of course everyone loved the Honey Nut Cheerios! Kids loved the cups, bowl, crazy straws and tangle toys too! A very cool prize pack! Before this we had even bought some other cereals with the crazy straws - they are cool! Honey nut cheerios. Thanks for the giveaway. I would like Reese's puffs. Reeses Puffs, yum, the best!